Energy Star is an international standard for energy efficient consumer products. ENERGY STAR is the trusted, government-backed symbol for energy efficiency helping us all save money and protect the environment. Why should I buy ENERGY STAR qualified windows and doors? Windows, doors and skylights, collectively known as fenestration products, are a major source of heat loss in Canadian homes. Fenestration products that qualify for the ENERGY STAR mark have been independently tested and certified to be among the most energy-efficient on the market, so installing them in your home will reduce your energy consumption and save you money. Homeowners who replace all of their old windows and doors with ENERGY STAR qualified products will typically save about 7 to 12 percent on their energy bills, depending on the number of windows and doors replaced, how old they are, and how much air leakage was occurring. Buyers of new homes with ENERGY STAR qualified fenestration products can save up to 12 percent on their energy bills compared to standard products (the savings tend to be greater for new homes because they are typically larger and have more windows and doors than older homes. 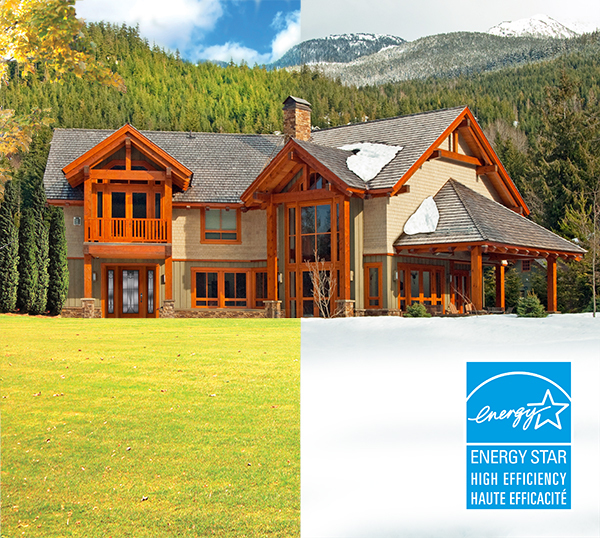 How does a window, door or skylight qualify for ENERGY STAR? To qualify for the ENERGY STAR mark, fenestration products must meet strict technical requirements for both thermal and structural performance. Products are qualified based on either their U-value (rate of heat transfer from a warm area to a cold area) or their Energy Rating (a scale that takes into account a product’s U-value, potential solar gain and airtightness). The colder the climate zone, the more stringent the requirements. Windows, doors and skylights must also have good airtightness to qualify for ENERGY STAR. To ensure the integrity of the ENERGY STAR mark, all product testing is done by accredited laboratories under standardized, quality-controlled conditions.